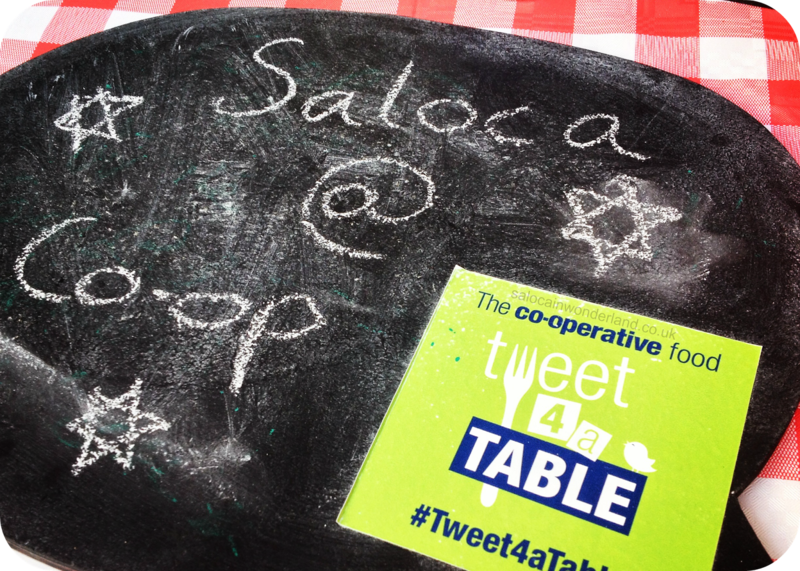 Saloca in Wonderland: The Co-Operatives *#Tweet4aTable campaign! 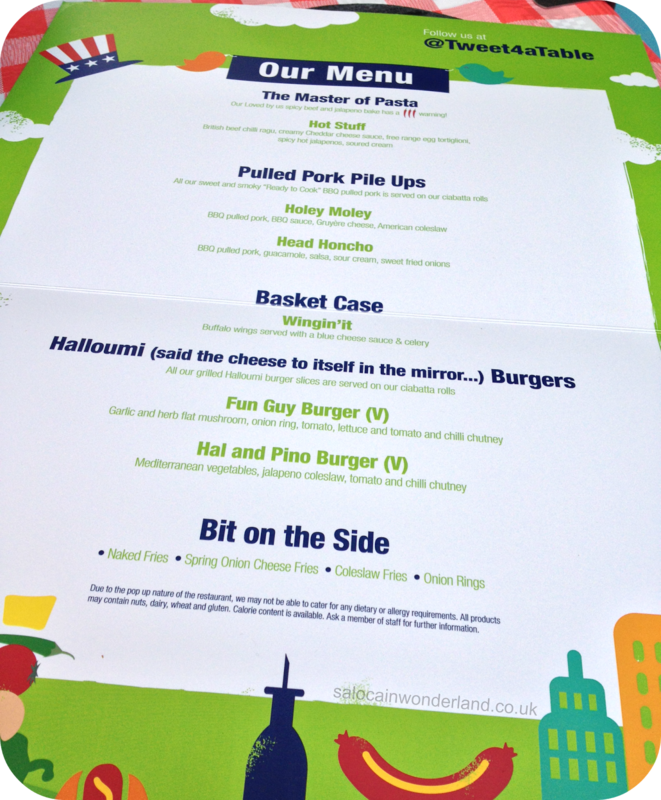 The wonderful folks at The Co-Operative are setting up a fabulous little pop up restaurant in city centres across the UK. This past week the guys had set up in Liverpool city centre. 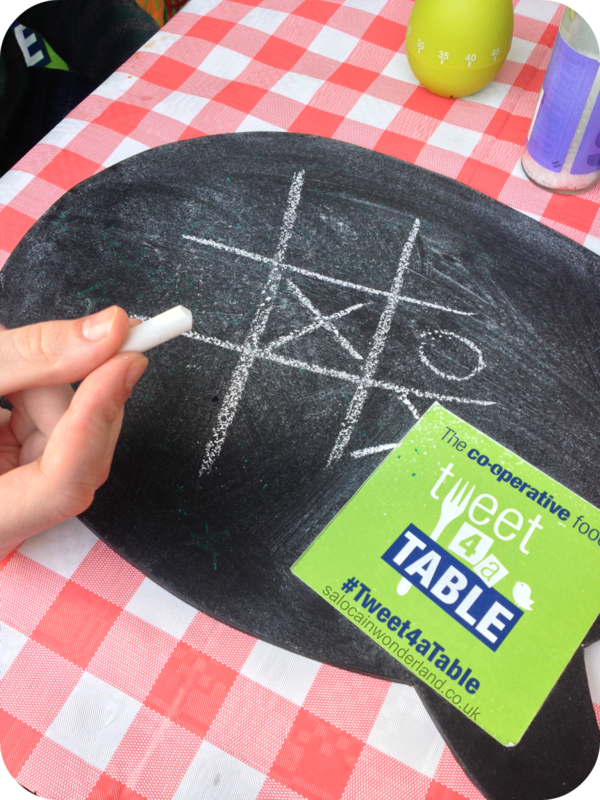 Well, in a bid to showcase the fabulous offerings the Co-Operative have in their new range, and the scrumptious meals you can make with them, they’re offering free meals to those taking part in their #tweet4atable campaign! Taking part is really easy too, all you have to do is follow @tweet4atable and tweet out about why you and up to three friends deserve to be fed a free meal for either lunch or dinner, using the hashtag #tweet4atable. Simple! Mr.Man and I headed down on Friday night after a long hard week at work, we were famished and looking for something good to get our weekend started. After being seated they went through the menu with us and explained how everything, from the menu items to the drinks and condiments on the table where all from The Co-Operatives own range. I’ve got to admit, The Co-Op isn’t somewhere I shop often so I was eager to see what they had to offer! 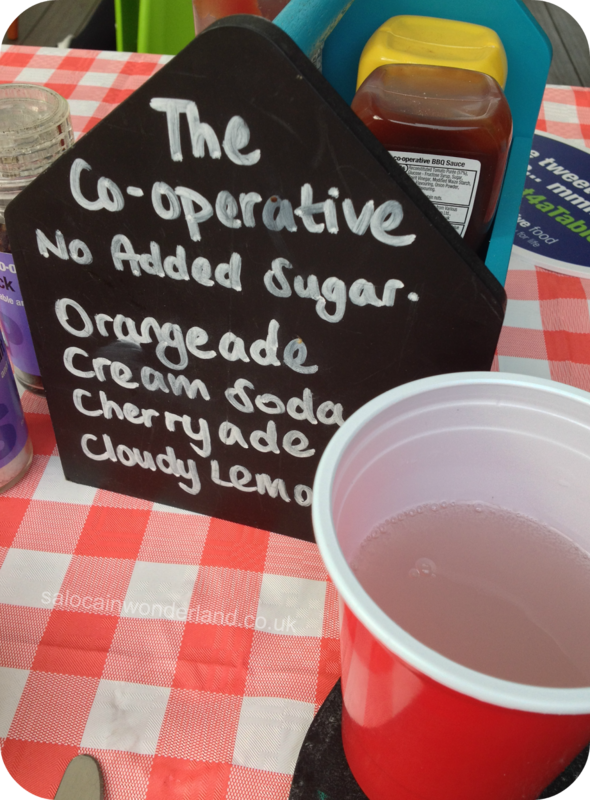 We started with drinks, I went for a cloudy lemonade, Mr.Man a cream soda – as nice as my cloudy lemonade was, Mr.Man won this round, I’d totally forgotten how nice cream soda was, I wish I’d asked him to swap! Next up, they brought us out some nachos to share. The guac was amazing and I don’t usually like it if I’m honest! For our mains, I went for the halloumi fun guy burger, a garlic and herb flat mushroom topped with an onion ring, salad and tomato and chili chutney with a side of onion rings. 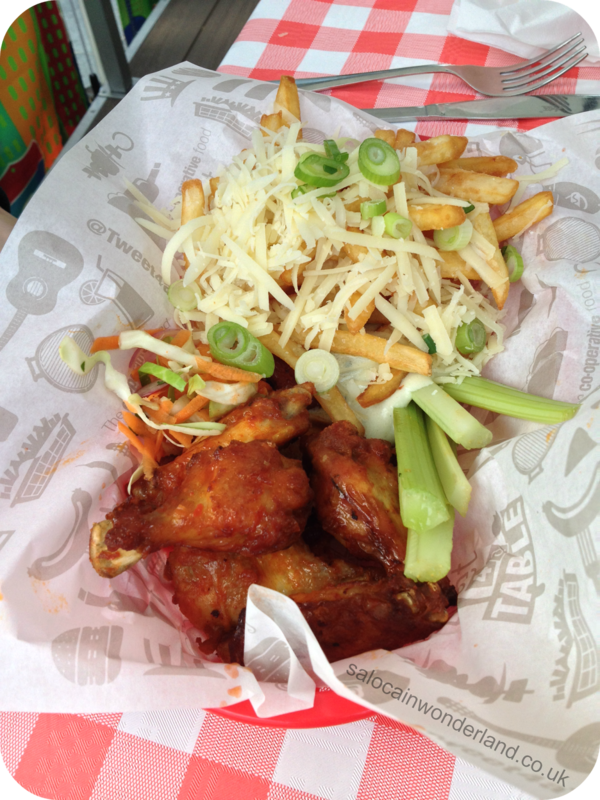 Mr.Man went for chicken wings with buffalo cheese and a side of spring onion fries. The flat mushroom was delicious, the whole thing was piled so high I could barely bite it properly! 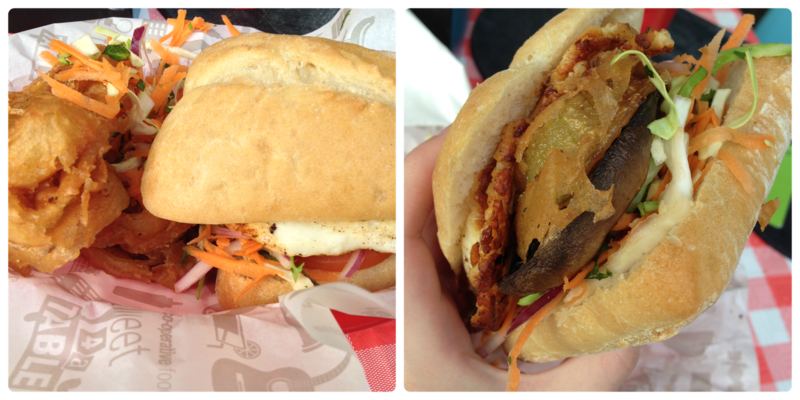 The halloumi was a bit too much so I had to take that off but the tomato and chili chutney was surprisingly really nice! Mr.Man really enjoyed his wings, the did look and smell delicious! Everyone around us seemed to be having a ball, couples catching up, groups of friends mucking around with the chalk boards and props, even the staff seemed to be enjoying themselves, there was a great atmosphere. If your lucky enough to have the #tweet4atable guys pop up in a city near you make sure you take part, send out a tweet and fingers crossed, you’ll get picked to grab a fantastic free lunch!You can follow the #tweet4atable gang and find out where they're going next over @Tweet4aTable. They'll be in Manchester 17th - 19th September and Newcastle 24th - 26th September! 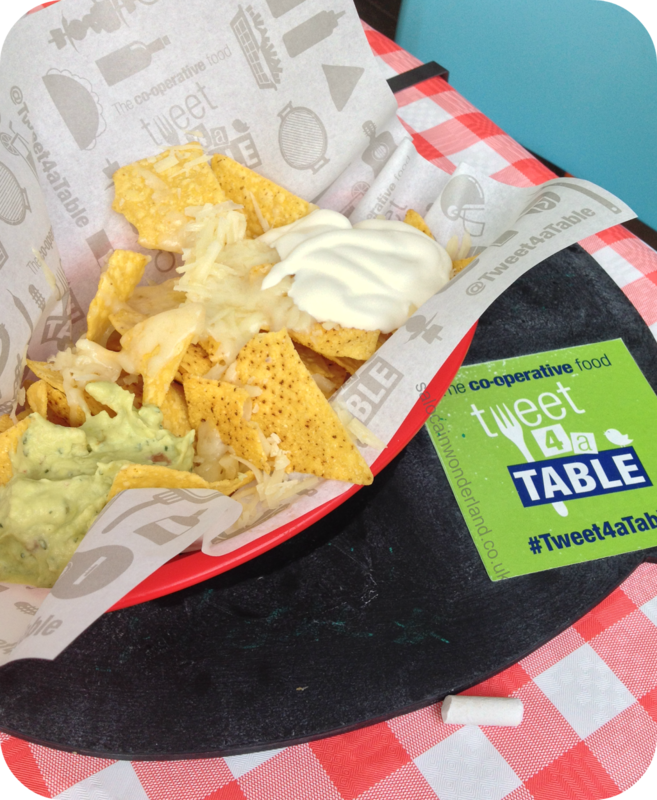 Have you grabbed a #tweet4atable lunch or dinner? Let me know in the comments below! I was invited down by the lovely folks at The Co-Op as a VIP guest to check out the event and the food, that being said, all thoughts and opinions are entirely my own!